Hong Kong’s insurance regulator, the Insurance Authority (IA), has granted Britannia a licence to underwrite business from its Hong Kong office. This positive news is in line with Britannia’s strategy of ‘think global, act local’. This has seen new Exclusive Correspondents for the Association opening in Taiwan and Denmark and the recent purchase by Tindall Riley (Britannia’s Managers) of the Britannia exclusive correspondents in Japan and Singapore as well as Tindall Riley opening an office in Greece. Britannia is also working towards activating its licence in principle, obtained in late 2018, which will allow it to underwrite business out of Singapore. The Hong Kong branch office will continue to be managed by the very experienced existing team led by Tim Fuller as the Chief Executive, Richard Inman as Head of Underwriting, Gordon McGilvray as Head of Claims and Monica Kwok as Head of Finance. 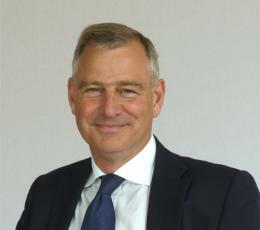 “The granting of the Hong Kong branch’s licence in a short space of time is testament to the hard work of all involved in Hong Kong and London, along with the determination of the Hong Kong IA to support the local marine insurance sector” said Andrew Cutler, CEO of Britannia and the Managers. “Half of our membership is based in Asia and the vast majority trade within the region. Establishing regional hubs in Hong Kong, Japan and Singapore is key to our strategy of providing our Members with a local service that is personalised and backed by a global presence in the market,” he continued. Britannia recently announced that there would be no General Increase to the advance calls for the 2019/2020 policy year. The Club’s strong financial position was re-enforced in September when S&P Global Ratings, the world’s leading independent credit ratings provider, reaffirmed its ‘A’ (stable) rating, adding that the outlook for the Club remains stable over the next three years based on the its current capital buffer which exceeds S&P’s ‘AAA’ level requirement.